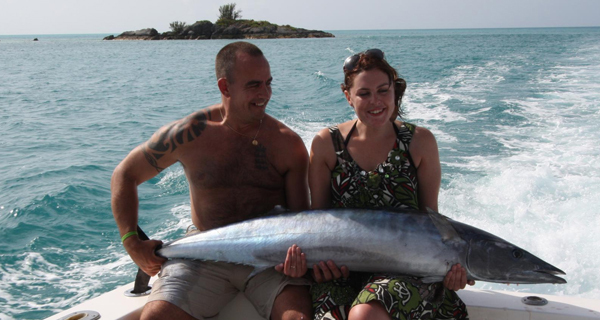 If you are planning a vacation to Cancun, Playa Del Carmen, Riviera Maya, or anywhere else on the Yucatan coast, make sure to venture into some of the finest fishing waters on the planet, the Caribbean Sea. Our professional English-fluent charter captain, Orlando Duran, will guide your fishing group to the most active fishing spots in the region. 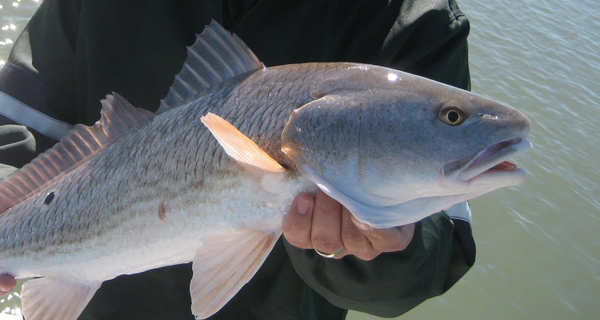 Orlando possesses the extensive knowledge of the local waters to determine the best places to troll, cast, or bottom fish on the day of your trip. Hell take weather, currents, tides, and the season to determine where your party will fish. 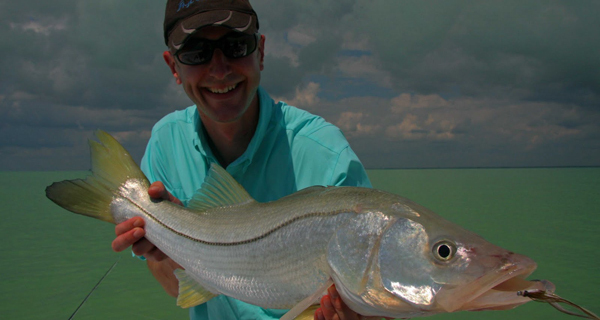 If you have some new anglers in your party, Orlando will be pleased to give them lessons. Even if you are highly experienced at deep sea fishing, Orlando can give you some helpful tips to improve your technique. 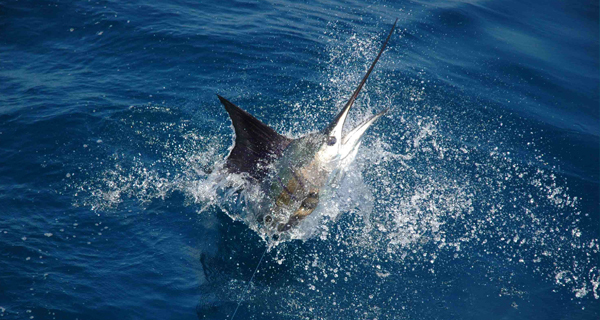 The waters in this region are overflowing with a dizzying spectrum of excellent sport-fish species, including Dorado (Mahi Mahi), Amberjacks, Red Snapper, Goliath Grouper, Black Grouper, Black-finned Tuna, Wahoo, Barracuda, Sharks, and billfish, including White Marlin, Blue Marlin, and Sailfish. 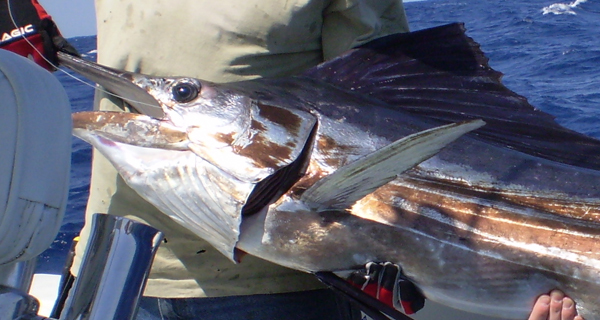 Sailfish, known for their distinctive dorsal fin that resembles the unfurled sail of a schooner, are extremely active in the spring and early summer. These spirited gamefish always put up an excellent battle, so be prepared to strap yourself into one of the Stuff Its fish-fighting chairs for a legendary battle with a species that can surpass lengths of nine feet. 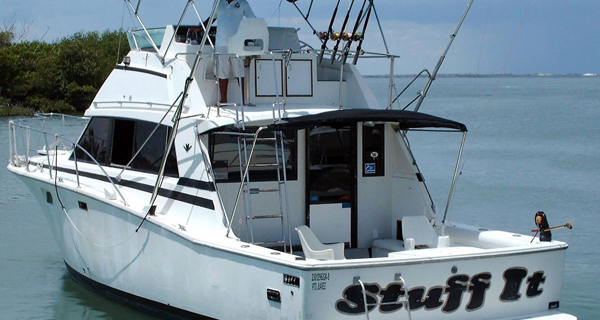 The Stuff It is also fully equipped with the finest tourney-grade rods, reels, tackle, and lures. Join Captain Orlando for a fabulous excursion aboard this thirty-eight-foot Bertram, a fine vessel built with a fly-bridge, air-conditioned interior, galley, bathroom, and bedroom. This Sportfisher is equipped with the latest electronics, as well as outriggers and downriggers.